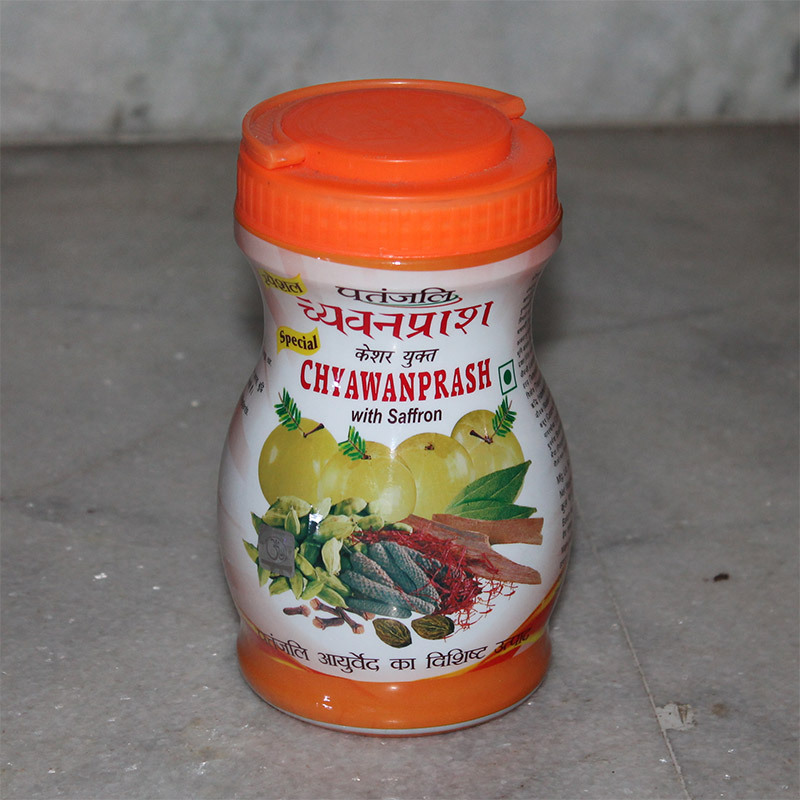 Chyawanprash is useful not only for patients but also is an excellent rejuvenator (tonic) for healthy persons. It removes physical & mental weakness caused by any reason, strengthens lungs as well as heart. After curing cough, phlegm and bronchitis, it makes the body nourished & compact. After nourishing the seven dhatus of the body (tissue elements, viz. (1) rasa or chyle including lymph, (2) rakta or the haemoglobin fraction of the blood, (3) mamsa or muscle, tissue, (4) medas or fat tissue, (5) asthi or bone tissue, (6) majja. or bonemarrow, and (7) shukra or the sperm in male & ovum in female) it promotes strength, virility, energy, lustre & intellect. People of all age-groups and genders including children women & old persons, can take this medicine equally. Twice on empty stomach, milk should be taken after half an hour. 1-2 teaspoonfuls (1.5-2.5 tolas or 15gm.-25gm;), twice a day.